There are lots of ways to earn money online in the current digital market. And most important thing is that you can earn from thousands to millions using your skills. Major question is how? Many of us don’t know how we can make money online so for those people I am going to share some great ways to earn money online. Making money online is best business for you if you are aware about digital market. If you will search online then there are lots of articles but most of them are not genuine and not reliable and pitches to convince you to sign up on some other web portals for their sales promotion, webinar, or training session. For that reason most of us think that online money making is not real and fake. One thing I want to assure you that you will not become rich in a day using online money making ideas but I am sure if you will continue do your effort in the right direction with same passion then definitely you will earn huge money. Sometimes lots of efforts and dedication required to get success and return what you expected in online market. If you are really passionate about online business idea or work from home then you can convert it into business. Online making money business is not part time it is just like any other business with lots of efforts, dedication, and work towards your goal. Here I am telling you some important things that you need to remember before starting online money making business. 1. Be Serious about Online Job: You are entering into online job here no one will be your boss and you will play both roles as a employee as well as boss. You can work anytime anywhere and in any situation means you can work either you are wearing formal cloths, or in underwear, or you are sitting in toilet but it doesn’t mean it is not real job. You should take this job very seriously like your office job because you are not the only person working from home anytime anywhere. Online job is going popular very rapidly lots of professionals are entering into this kind of job so be serious and put your 100% efforts with complete focus. 2. Responsible and Professional: While you are doing this job you should be very responsible and professional so use very professional language, vocabulary, and grammar with complete sentence with proper meaning. Language should be very simple that everyone can understand and use only common words. 3. Explain With Proper Example: Because you are doing online work so whatever you are giving online to other users should be properly explained with proper example and insert screenshots, if possible to show what you are saying exactly. No doubts should be left in that work from start to end. 4. Recheck Before Posting: Before sending anything to the receiver please do recheck whatever you are sending email, resume, or portfolio. Double check spellings, grammatical errors, proper meaning of sentences because it will show your professionalism to the other person. 2. Make Money From GPT Sites: GPT sites named Get Paid To are also good earning sources online. Using GPT sites you can earn money by playing games, watching videos, taking surveys, etc. 4. SEO (Search Engine Optimizer): SEO is one of the best money making skill and if you have these skill then you don’t worry about making money online. Without SEO there are no popularity of online web portals so SEO is the marketing technique to make popular any company that is why most or all companies prefer SEO to grow their online business and pays lots of money to SEOs. 5. YOUTUBE Channel: If you love making videos of outer world then this is the best place for you to make huge amount of money. This is very simple online business and you just need to make a video, create your own youtube channel and just upload the video and become YouTube partner. Now YouTube will give money on each and every view of your video. 6. Buying and Selling Domains: Domain name buying and selling is another very good business in the current digital world. To start this business you need some investment to book a domain name. You can buy and search best domain names from Godaddy or other domain name providers and also can put your domains on auctions for people to buy directly. For this business you need to be little bit creative to think about future prospective of the selected names which companies can buy to grow their business in future. If company want to buy any particular domain but that is not available then company can contact to the owner and could buy that domain on your deal. 7. Blogging: Blogging is one of the best online money making business but it needs lots of patience, hard work, commitment, persistence, and discipline. For Blogging you need to work on it every day and need to post something regularly for visitors. In a common scenario for one to two year you should need to work consistently on your blog and after that you will get success without exception. You need lot of traffic on your blog to earn money and it takes time but once your blog will reach that point it will give lots of earnings. Once huge traffic generated on your blog then here are some ways to monetize your blog and start earnings. a. Advertizing: This is most common way to earn money. You can sell advertizing space on your blog or you can sign up with Google AdSense or Media.Net. For both way you need thousands visitors per day. b. Affiliates: This kind of way is used to promote other people’s products and services. FlexOffers, CJ Affiliate are the companies that pays moneys if you promote their products and services. c. Products: Using this way you can sell your own products to earn money like ebooks, computer accessories, electronics, software, etc. There are some another ways like subscription, Services given, sponsored or paid posts, Videos, and many more. 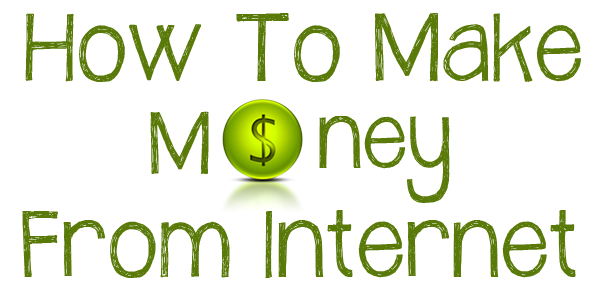 There are lot more ways to earn money online…. 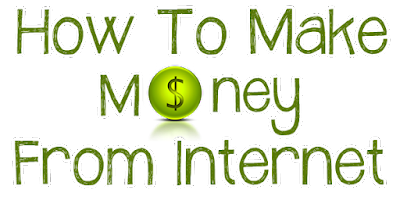 Wait for my post in which I’ll post some more ways to earn online income. Thanks… everyone is looking to make money online…. Very nice post about making online money. Yes online money making is the best business. At Passive Residual Income , we are dedicated to provide you the ideas for passive income and investments for business or to achieve your own financial independence.